We stop deer and ticks in their tracks. 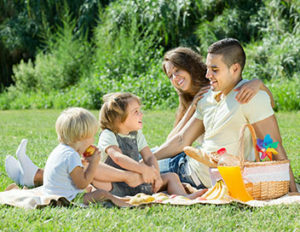 Protect your landscape and your family all year long. NoVa Deer Shield is dedicated to protecting your landscape with solutions that are safe for people, plants, deer, pets and wildlife. 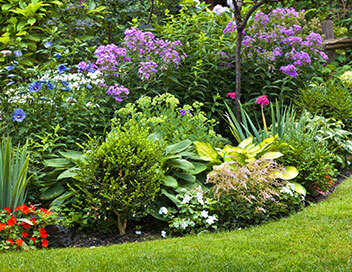 Protect your annuals, perennials and ornamental shrubs with year-round solutions that deliver results without harmful chemicals. Enjoy your beautiful landscape, start planting with confidence and get back outdoors again! Our Spring & Summer program includes an EPA approved solution that is an egg-based deterrent spray. It is specially designed for long-lasting protection with no foul odor. NoVa Deer Shield’s Winter Service includes the longest lasting deer repellent available on the market today. It protects plants with a strong taste deterrent that deer will avoid. Our tick solution is 100% organic and is non-toxic to children, pets, and wildlife. We offer comprehensive, year-round deer repellant services to protect your landscaping investment and the effort you’ve made to create a beautiful outdoor living area. Our solutions are not only safe for deer, they’re also safe for your family, your pets and other wildlife. 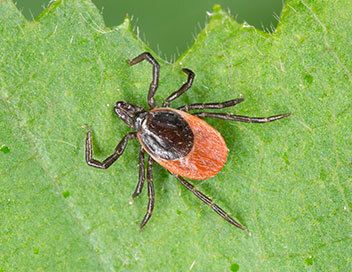 Take control of your yard and help prevent the spread of tick-borne diseases. Our organic tick treatment service can help take the worry out of outdoor activities and keep ticks away from your family and pets. At NoVa Deer Shield, we offer expert advice and support for all of your deer and tick deterrent needs. We have years of experience in evaluating and selecting the very best solutions available on the market today, with a focus on safety. 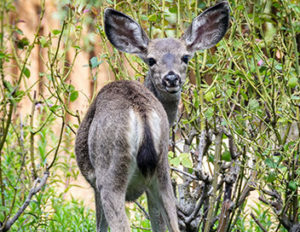 Our treatments are safe for the environment, your family, your pets and wildlife, including deer. We continually evaluate and improve our processes to deliver the best customer service and high-quality solutions every time. "Hello neighbors. 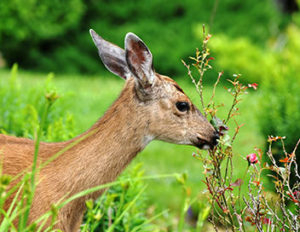 If you love flowers and plants like I do, but are tired of feeding the deer, I found a great service that sprays to keep deer and other critters at bay. I can grow plants I couldn’t grow. There is a one time winter spray and then sprays throughout the summer. It is clear and unscented! Give Judy at NoVa Deer Shield a call." "We have been incredibly pleased with the deer prevention services of NoVa Deer Shield. The owner comes in person to inspect the landscaping and apply the selected products. She even comes by for periodic checks to see how the product is working or if it needs to be tweaked. There is a great winter product that works for months (the worst deer time) in her line. We can highly recommend the company to anyone who has been providing the deer with a buffet of plants!" "Hi Judy, I just want to let you know how happy we are with your product and your service. The product has successfully kept the deer away from the plants they were eating! 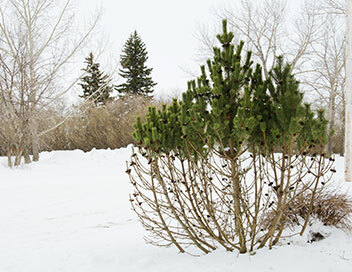 Some of my bushes have been trying to grow now for years, only to have been consumed by the deer and having to start all over again! There are no side effects from the product; everything around those items you have sprayed continue to thrive!"